, you may be giving copycats all the information that they need to track down your wholesale distributors – and not even realize that you’re doing it. 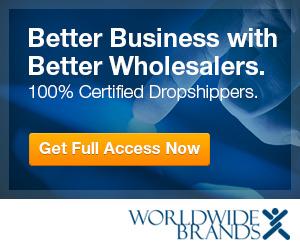 But you can make one little change and protect your home business’ wholesalers and dropshippers. Don’t let your online business’ competitors in the back door – find out how to keep your sources for wholesale products a secret. Use this easy tip to guard your ecommerce site from copycats and competition.